While patio season is decidedly longer in Victoria than in other parts of the country, there is still something very special about dining and relaxing al fresco. Luckily there are plenty of great spots in the city to unwind in the sun (or shade). One local highlight is AURA waterfront restaurant + patio, named on Open Table’s Top 100 Outdoor Dining list, which highlights restaurants that offer stunning views, unique cuisine and, above all, fabulous outdoor dining experiences. 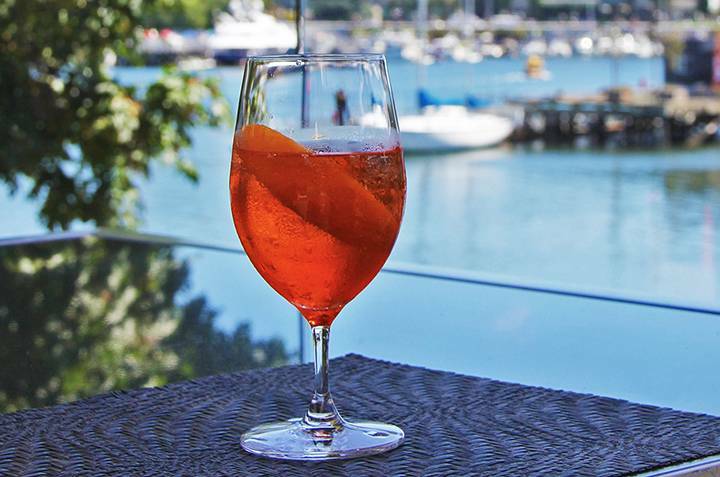 This year, visitors to AURA can sip on a refreshing Aperol Spritz, a classic cocktail enjoying a revival. Add lots of ice to a large stemmed glass. Add Aperol and Prosecco, lemon juice and soda, if using. Stir. Garnish with an orange slice.